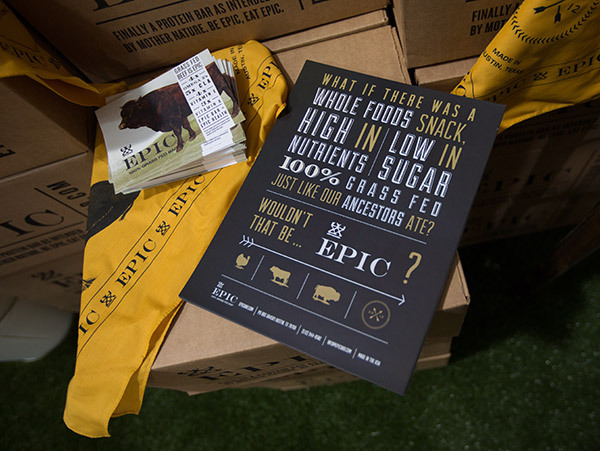 EPIC Bar. 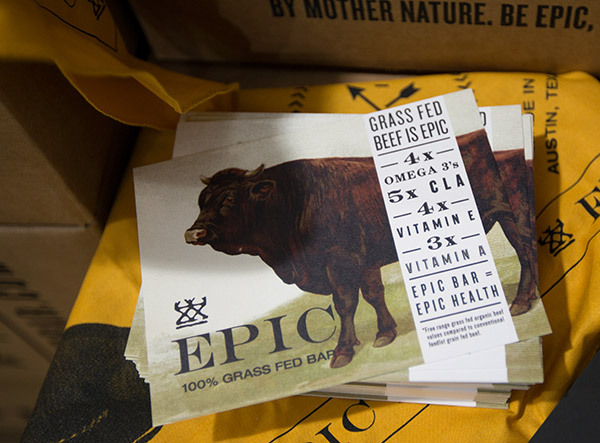 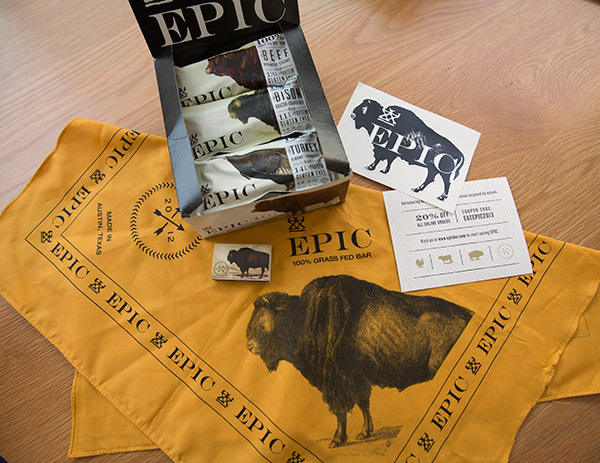 The name is perfect, as these bars are truly EPIC. 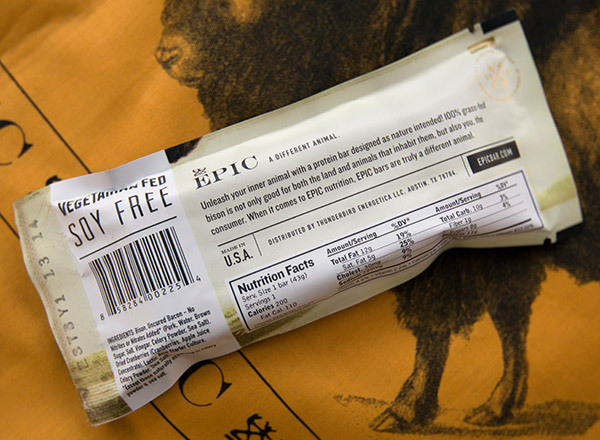 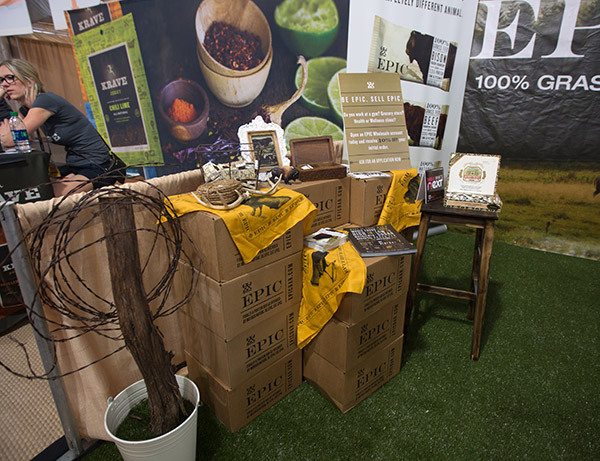 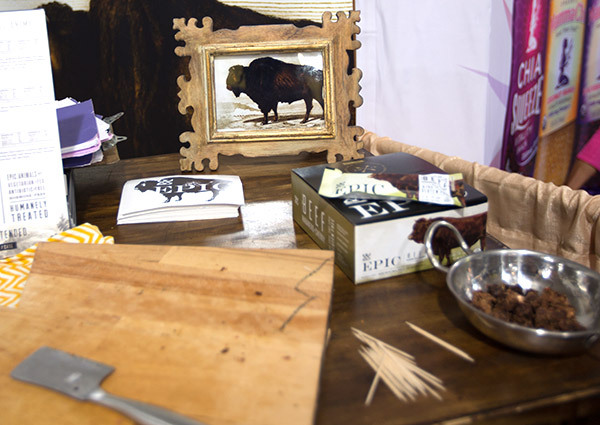 Gluten free, paleo friendly, grass fed protein bars that are impressively branded (from their packaging to graphics… sprinter van to bandanas… hats, matchboxes, booths and more!) 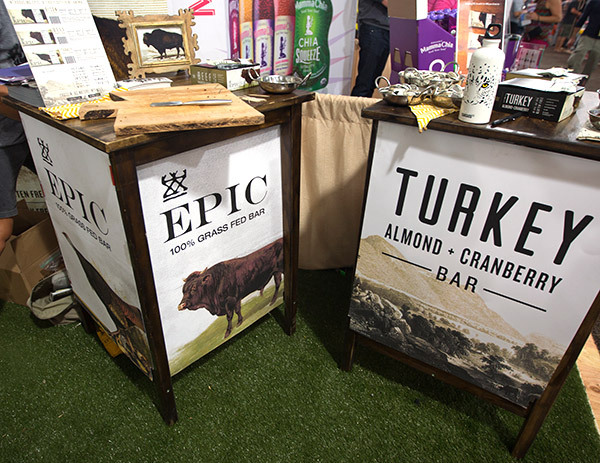 Based out of Austin, TX, these bars went wild across the internet a few months back (we even had it on NOTCOT.org) and we’ve been meaning to order some to try, so when we ran into the EPIC Bar booth at OR, it was like its own little oasis tucked along the wall in one of the pavilions, and we had to taste them all. 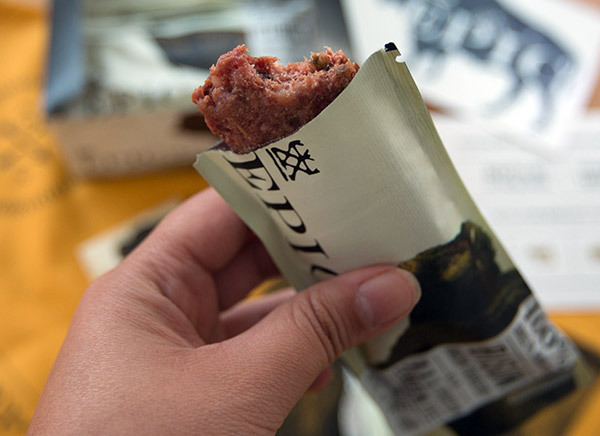 I wasn’t sure what to expect out of a “protein bar” that was made of meat and packaged to resemble something like a clif bar wrapped like an artisanal chocolate bar… my head could never figure out what to expect, but it turns out it tastes more like something between a sausage/beef jerky/energy bar… think meaty with a little fruit mixed in. 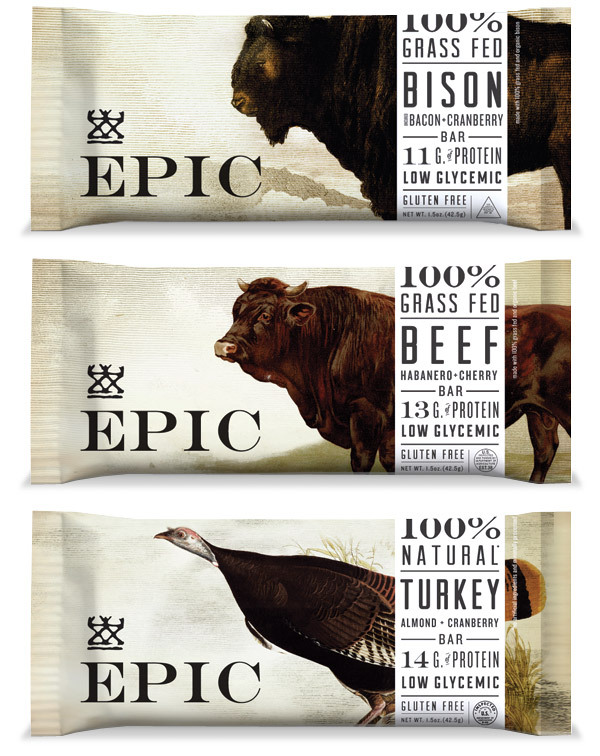 The flavors are Turkey/Almond/Cranberry, Bison/Bacon/Cranberry, and Beef/Habanero/Cranberry. 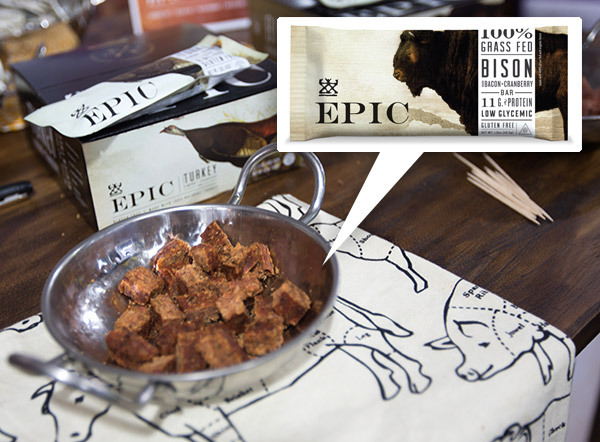 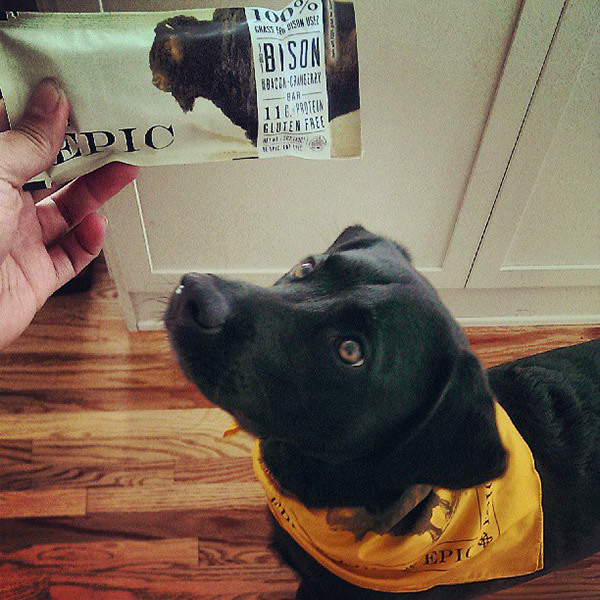 They are all delicious, but i think my favorite is the Bison currently! 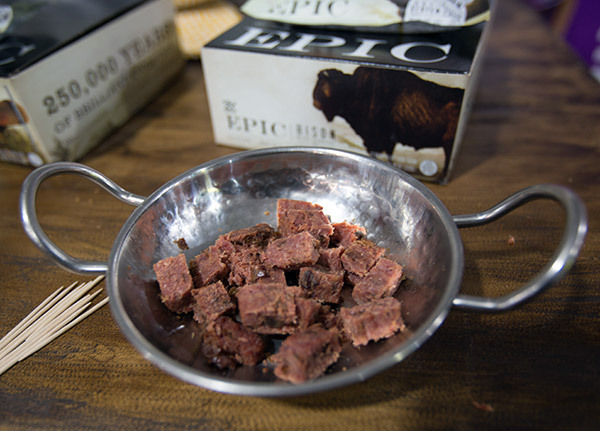 I expected it to be tough to taste as good as the packaging, but it does, and it’s definitely worth trying ~ especially if you’re on a high protein, paleo, etc diet. 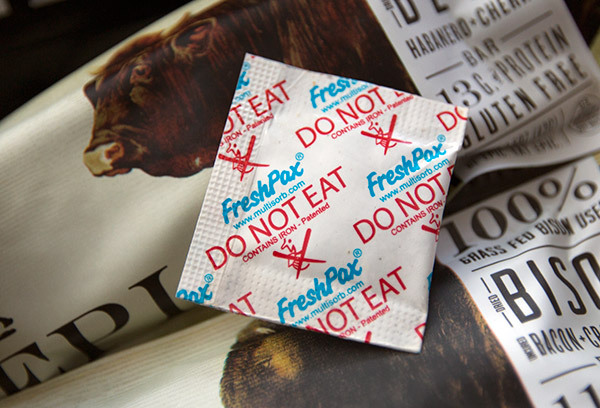 They even had a 9 month shelf life, and each bar has one of those little “do not eat”moisture absorbing packet, so it’s perfect to stash as a snack in case of emergencies. 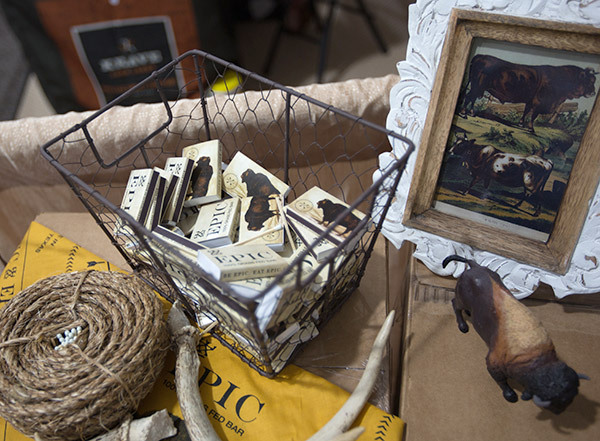 Take a peek at the fun booth, design details, and more on the next page! 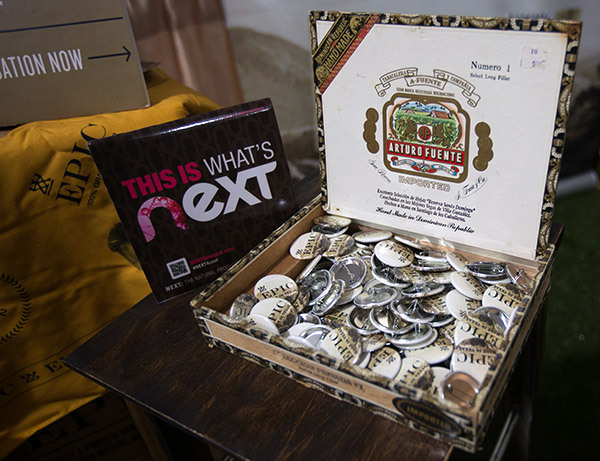 Some of the goodies from the booth… we had to bring a case home to share with friends… you have to taste these to understand it!